Can people use Signupforms.com to create tickets for concerts and events where people would need to print a ticket to bring with them to an event? Yes. Every customer receives a confirmation email with a message: "Print this email and bring it with you to the event" (or something similar). The email also contains a QR code (2D barcode) on it that can be used by event staff to instantly check-in those registrants. QR codes (or sometimes called 2D bar codes) are really just URLs that are turned into a picture that your phone can quickly read -see image. A QR code is really just a link to a website. Using a QR app on your phone, your phone will read it and will instantly take you to that website. 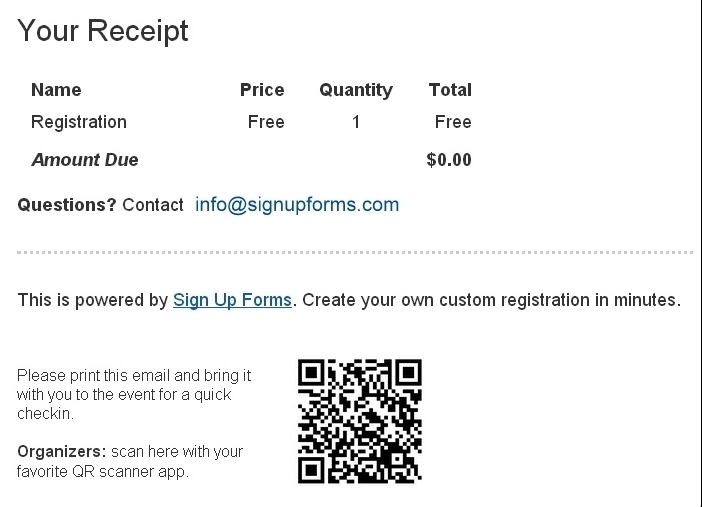 Sign Up Forms uses QR codes in a confirmation email to allow a person to check in to an event. My QR Code, from the confirmation email, just takes me to the Sign Up Forms website, and doesn't check a person in, what's wrong? When a QR Code (or 2D bar code) from a confirmation email is scanned, one needs to be logged in to Sign Up Forms with the valid user permissions. The user that you are logged in as needs to have permission, either created the registration or assigned as a team member. If an incorrect user is logged in, the person will just be directed to the generic Sign Up Forms registration page. If you are properly logged in and you scan a person's QR code, the registrant will be "registered" to the event. What is the best way to do check-in at an event? Sign Up Forms provides several options. 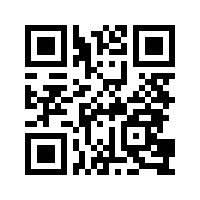 A QR code is included in every confirmation email (see image). A person can print this receipt and the event organizer can scan the image with his phone (or have a team of people with their phones). The QR code directs the phone (or scanner connected a desktop or laptop computer) to the person’s registration page. This same function is easily performed, and probably quicker, from a desktop or laptop computer where you type in the person's name. As you are typing in the "Search" bar, the list is reduced to what matches the text in the search bar. 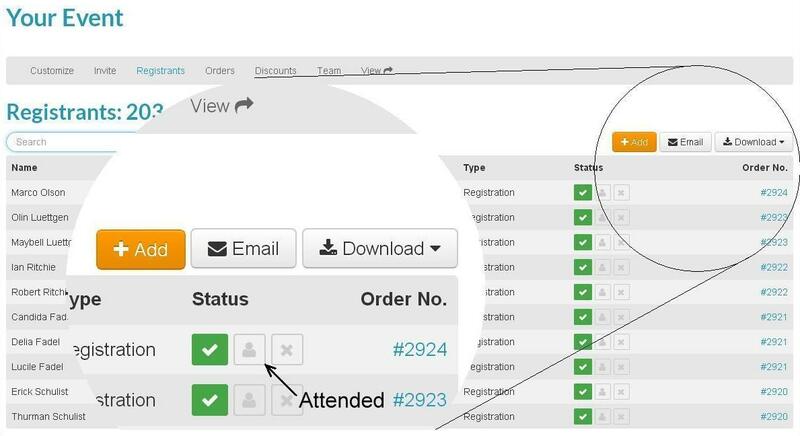 The organizer can then select "Attended" with their computer mouse. Can I print badges / name-tags with Sign Up Forms? Sign Up Forms does not have an automated output for making badges. But, one can export the information and then print labels. From the "Registrants" tab, select "Download". Open the downloaded .csv file in Excel, Google Docs or your favorite spreadsheet program. Sort and remove columns as desired. Depending on the label you desire to make, one can print an Avery label directly from Excel or open Avery label software or another type of badge / label printing software to print your labels.